The B2B online marketplace is getting increasingly competitive; but competition is good because it pushes you to get better by trying new things, thinking up new strategies, and taking risks. Sometimes you may even come up with something that becomes a big trend. Competition forces you to sit up and take notice. B2B businesses are doing the same—sitting up and taking notice of the growing B2C businesses. They are taking cues from B2C businesses to bring innovation in the way they present themselves to their customers. They are not afraid to buck trends and are instead looking for multichannel marketing strategies that can be taken from B2C businesses and adapted for the B2B market. Many B2B businesses are finding success via all their customer touchpoints. Businesses that are stuck in their ways don’t stand a chance at growing. To attract the new generation of buyers, B2B businesses are thinking outside the box, looking for inspiration in the B2C online market, and finding success. We will now look in detail at the reasons why B2B is being inspired by their B2C counterparts. It’s the age of mobile, and it’s gradually becoming the age of a mobile-first strategy in both B2B and B2C marketplaces. With the rise in mobile usage, B2C companies have already been leveraging mobile and rising in the m-commerce realm; lately, B2B companies have also started being inspired by the strong numbers B2C companies are achieving. B2B sellers have been observing the rise of mobile and with it, the rise of B2C m-commerce. A seller is also a buyer. A B2B seller, when shopping as a B2C buyer, experiences a frictionless, digital experience and they know that their B2B consumers expect the same from them. Mobile commerce has obviously existed in the B2C realm for much longer than it has in B2B. For mobile solutions, B2B suppliers have so far been using legacy solutions only, such as a barcode scanner, or other expensive proprietary hardware. But in the last few years…. B2B buyers have also started offering their clients a way to place orders on a mobile device, although it is relatively new for them. The suppliers going in this direction are able to seize enormous opportunities because B2B buyers are enjoying the ease and speed of ordering, which they experience as B2C buyers. Mobile is becoming a must-have in B2B commerce. B2B buyers are no different than B2C buyers. Business buyers possess an on-the-go nature and this makes it necessary for them to have access to a robust app experience on their mobile devices, in addition to desktops. It enables them to place an order anytime, anywhere and they are not restricted to traditional working hours or locations anymore. This plays a huge role in getting a long-term customer, from what may have been a lost sale. 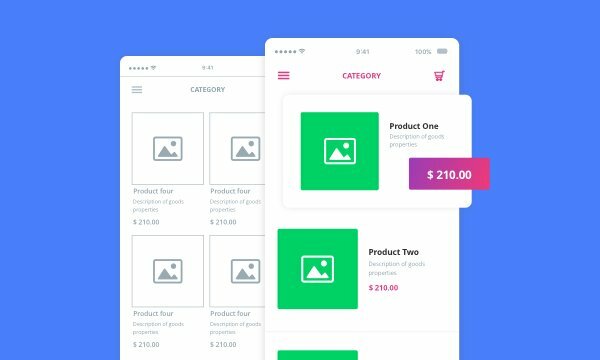 Although the B2B selling process is more complex than a B2C m-commerce experience, B2B businesses are still employing B2C techniques while developing an m-commerce app. 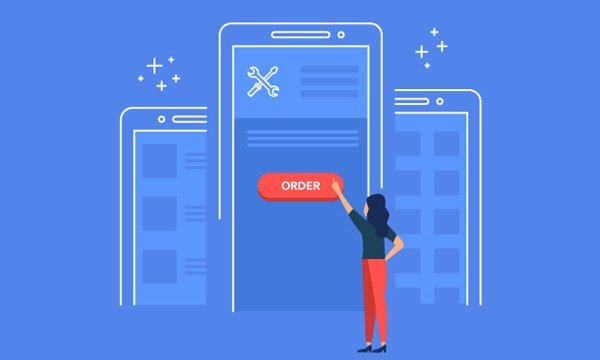 Like B2C, B2B businesses are now focusing on developing a user-friendly m-commerce experience that allows their consumers to easily place complex orders. It offers advanced pricing and invoicing, and also provides seamless on-the-go interactions. All in all, reducing the steps taken by a buyer to complete a purchase. B2C-influenced intuitive B2B m-commerce apps are allowing business buyers to buy at that time, which is convenient for them, without having to speak with sales reps at odd hours. 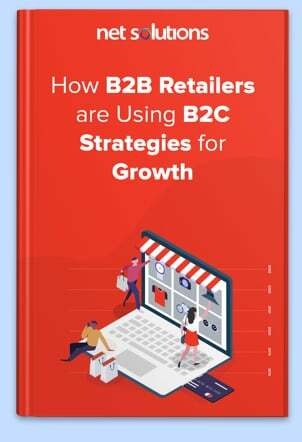 Traditional B2B commerce sites, who are not taking into account the latest m-commerce trends, include tedious and complicated steps to make a purchase; the changing B2B buyer is no longer interested in that. A seamless m-commerce experience is what drives sales and builds loyalty. Business buyers are navigating towards B2B companies that are providing them with on-the-go flexibility for making purchases. 80% of B2B buyers are using mobile at work. 70% of B2B buyers increased mobile usage significantly over the past two to three years. 60% of B2B buyers expect to continue to increase their mobile usage. 50% of B2B queries today are made on smartphones. The figures are expected to grow to 70% by 2020. In addition to a convenient and flexible buying experience, m-commerce also makes self-service more accessible to customers and reduces overhead costs for B2B sellers. The typical B2B buyer is changing. With this change in the buyer behavior, businesses are also changing their sales process. A millennial B2B buyer is more used to digital experiences than what the Gen X B2B buyers were used to, i.e. dealing with a sales rep. Although the interaction with sales reps cannot be entirely substituted, it has become limited. Rather, they depend on digital resources such as B2B suppliers’ mobile apps, websites, videos, buyer reviews, blogs, and social media. And they obviously use mobiles to get such information, specifically through search and social media. B2B buyers also expect multi-channel ordering experiences so that they can purchase from websites and mobile apps. A millennial B2B buyer prefers the same seamless, personalized mobile experience that they have on B2C platforms as consumers. They expect the same level of search functionalities provided by B2C apps. They like to view the ratings and reviews before buying from a B2B merchant. They also want personalized product and service recommendations similar to what B2C apps are doing. During this viewing process, B2B buyers look for concise and coherent interaction, in whichever way it is presented. But when they don’t receive such experience, they more often than not, exclude that vendor from consideration even before any direct sales contact happens. This leaves B2B merchants with no choice but to satisfy the modern B2B buyers’ needs, by taking guidance from its B2C counterparts. B2B companies are looking up to their B2C counterparts in order to succeed at mobile commerce. 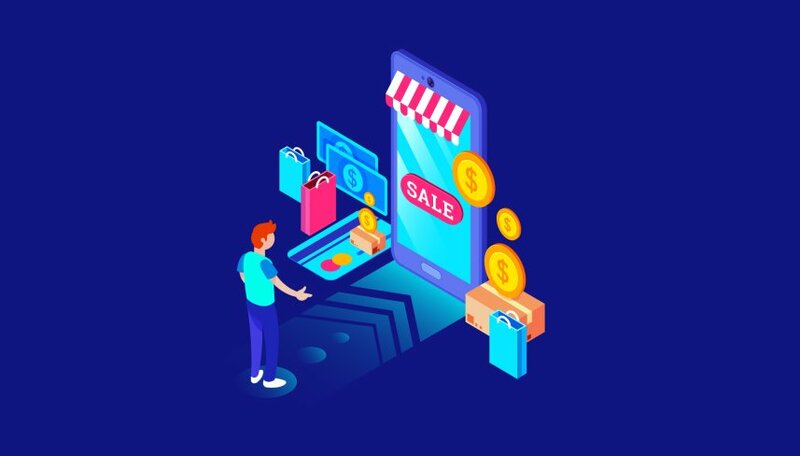 They are focusing on creating m-commerce apps that offer user-friendly interfaces, flexible purchase options, and customized and personalized content. With the right platform, B2B companies can completely transform the way they do business and drive more long-term sales. B2B merchants are adjusting their business models to accommodate m-commerce/e-commerce because it’s the need of the hour. They are aligning with the new expectations of B2B buyers to increase sales. It cannot be mentioned enough that B2B buyers are the same people who make purchases as consumers. It’s a simple truth that cannot be overlooked anymore. In the B2C environment, buying online is preferred by many. 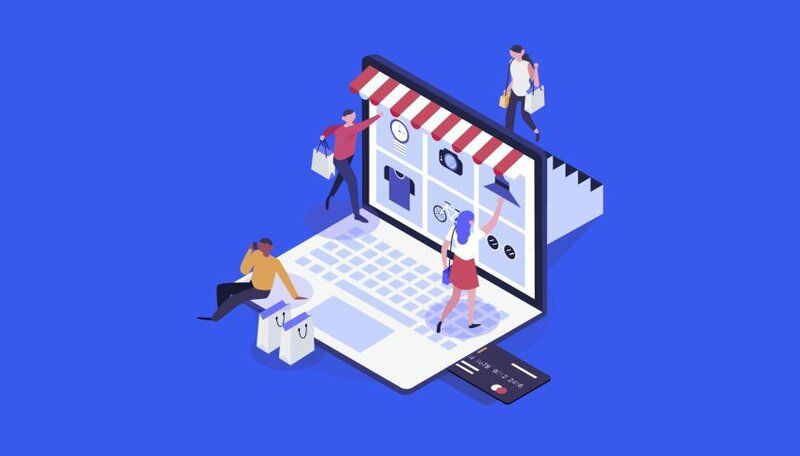 The US Department of Commerce found that, in 2017, ecommerce raked in a whopping $453.46 billion, representing 16% of all retail purchases. As people have increasingly started shopping online, they have become accustomed to a certain level of online experience. Those expectations are still there when they put on their “B2B buyer’s hat.” A B2B m-commerce/e-commerce implementation proves to be successful if it mirrors the experience a buyer would have in their B2C purchasing. However, there was a time when B2B merchants did not completely understand the idea of selling online and hence, avoided it. The way B2B buyers purchase differs significantly from the way they buy as consumers. Additionally, even different B2B buyers will have remarkably varied ways of making a purchase. High-volume orders, individualized pricing system, long-term payments, etc., make B2B highly complex. Most of the times, B2B merchants have to provide tailored experiences to individual buyer accounts. For the above reasons, in the past, many B2B merchants saw it as an insurmountable challenge to sell online. But there were others who saw it as a business opportunity that could be explored, and they did. 78% of survey respondents that sell online have done so for at least two years. 41% of B2B retailers expect B2B online sales to grow more than 25% in 2018. 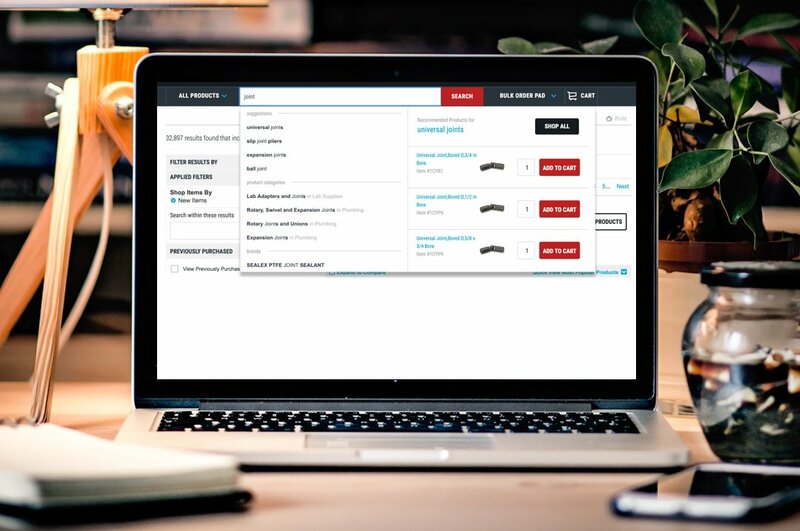 Payment optionsare a vital part of the B2B ecommerce sales process. Although checks and POs are still heavily used, mobile wallets are on the rise. When it comes to online retail payments, 72% of payments are made through mobile devices, which again solidifies the fact that B2B merchants are increasingly using online mediums. The rise of mobile apps and marketplaces like Amazon clearly shows that B2B retailers are quickly moving from early experimentation with m-commerce/e-commerce channels to full-fledged omni channel sales approaches. In short, B2B retailers are no longer novices in the online selling process. Those B2B merchants who have yet to begin selling online are overwhelmingly planning to do so in the next 24 months. B2C companies are using a variety of acquisition channels; therefore, B2B merchants are doing the same. The good thing for B2B is that everything has been tried and tested by B2C companies and all they have to do is pick the things from B2C that will fit into their B2B business. As mentioned earlier, online selling wasn’t B2B merchants’ forte and wasn’t a major part of their business and sales strategies. A few of the businesses that had websites, were more of portals and they only served as online catalogs. The idea was not to replace customer service reps with online technology. Only the existing customers were served, which means, no online strategy for new customer acquisition. But now, taking a page out of the B2C m-commerce playbook, B2B players are acquiring new customers through their m-commerce apps and e-commerce websites. 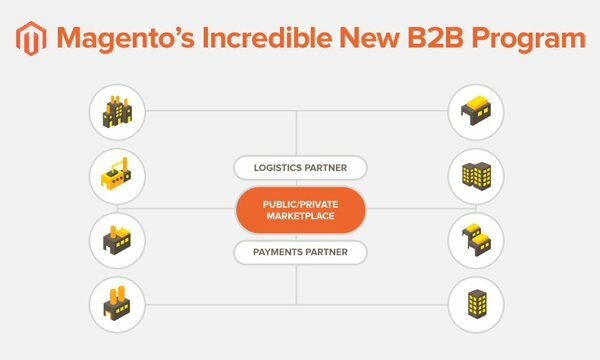 They are introducing features used by B2C merchants and making things easier for their B2B buyers. 74% of B2B buyers report researching at least half of their work purchases online. As more and more B2B buyers are going online for researching and buying products, B2B merchants are moving online to be where their customers are. The purpose of an m-commerce app is served when it brings in new customers, which is, of course, the focal point of B2B online selling. Social media also plays an important role in bringing in new customers, which again highlights the shift in B2B buyers’ behavior as it moves toward a more B2C-behavior path. 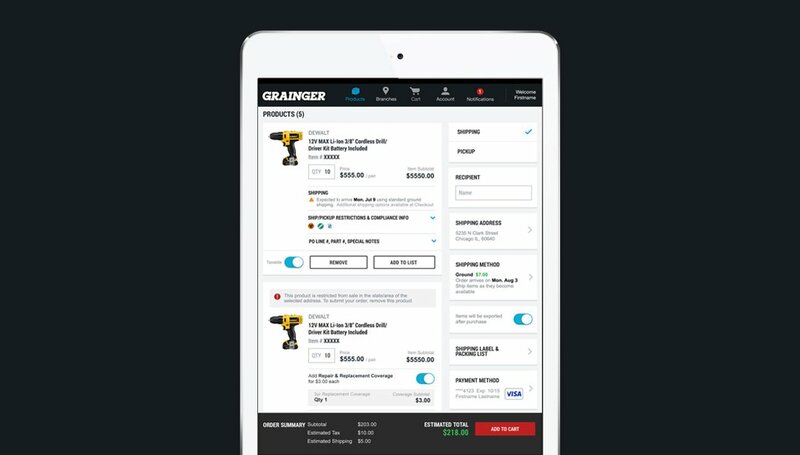 Grainger is a Fortune 500 industrial supply company and it perfectly exemplifies the emerging overlap of B2C and B2B. 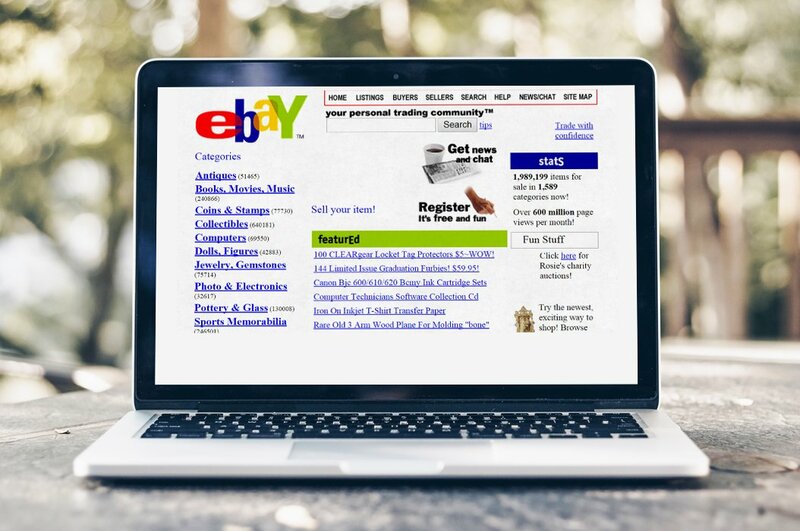 Once logged into their account, buyers are navigated to a homepage that mirrors any popular B2C site. Similarly, their product pages also bear all the major B2C hallmarks. A large percentage of B2B buyers do at least some online research before buying. 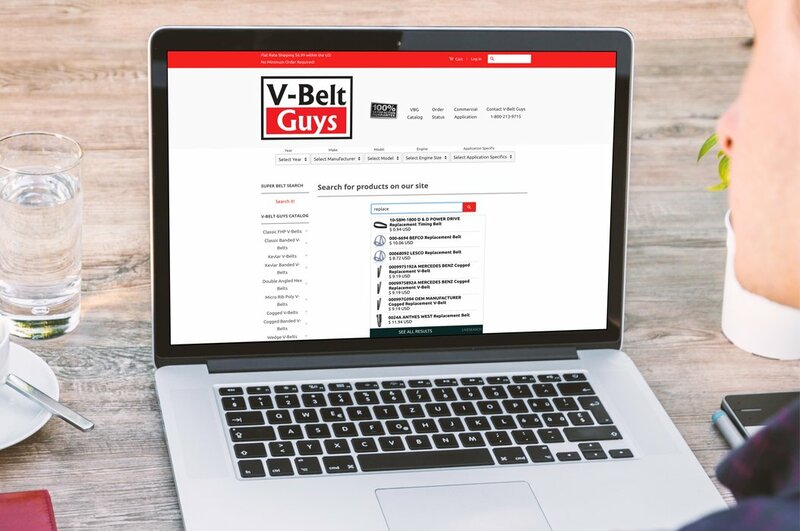 Grainger’s enhanced onsite search functionality is the latest B2C-like feature, which deserves special attention. There are many B2B merchants who are leading the way for others, who are still new to this mirroring of B2C UX, or who are in the development stage. But it is evident from all the above points that B2B is benefiting a lot by becoming more like B2C. In the end, it’s about keeping up with prospective buyers and offering them the latest resources to make a purchase. As more and more B2B companies are making m-commerce a priority, convenient B2C-like online shopping experiences are now being offered in the B2B marketplace as well. 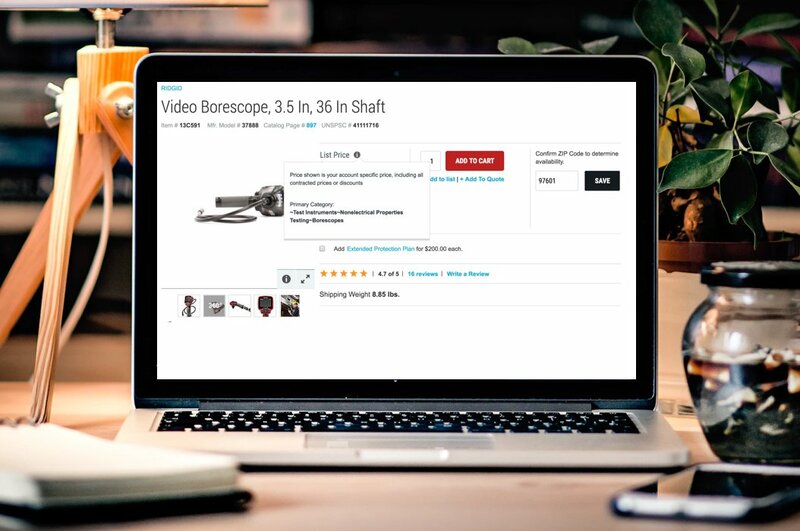 Many B2B m-commerce apps now provide flexible and reliable experiences that deliver engaging shopping for retailers and other wholesale buyers. Shaveta Wadhwa is currently working as a Tech Lead in PHP at Net Solutions. She has over 8 years of experience in PHP, working on ecommerce platform like Magento, CMS like Wordpress and Drupal, and frameworks like CakePHP and CodeIgniter. She is a Magento Certified developer who loves debugging codes and finds herself always up for problem solving. She strongly believes that a developer must be skilled in unit testing too and should take full responsibility in identifying and fixing the errors and bugs in the code. In her free time , she loves to try out new recipes.